Lock in a great price for Pelagos Hotel - Oia – rated 9.3 by recent guests! Food was amazing, fresh like a home cooked meal. Pool was so clean and not too cold. Rooms were clean and comfortable. Surroundings were like a picture. I would love to come again. I just cannot fault this place. Caring staff, great. Your own patio at the back. Great restuarant and a pool next to it. Pool was fab, accommodation was spacious, clean and comfortable. The family owners were lovely people. 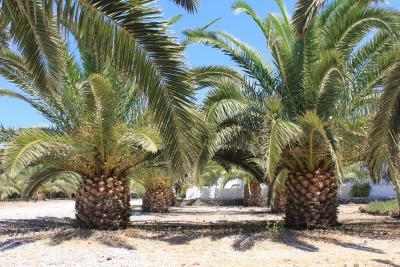 Really friendly and helpful staff, nice quiet location away from the touristy bits of Oia. 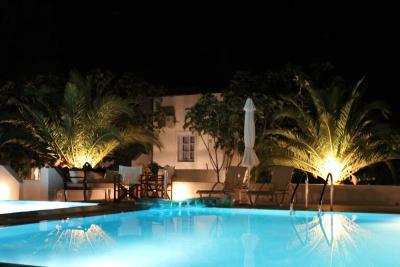 The swimming pool and the overall accommodation were excellence. 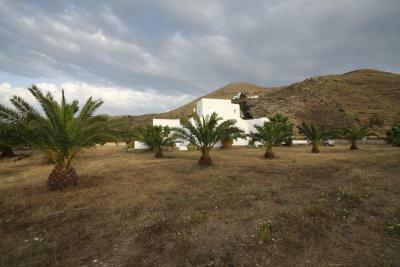 Beautiful relaxing property, only a 10 min drive to Oia. Very helpful Mgmt who provided great info on seeing the sights. Pelagos Hotel - Oia This rating is a reflection of how the property compares to the industry standard when it comes to price, facilities and services available. It's based on a self-evaluation by the property. Use this rating to help choose your stay! 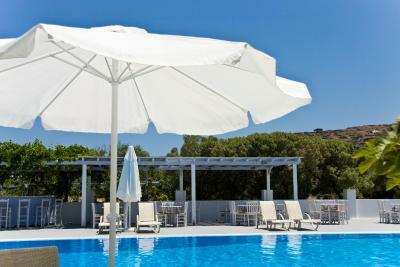 Surrounded by vineyards and grounds, the Pelagos Hotel offers free Wi-Fi, an outdoor pool and a pool bar-restaurant. 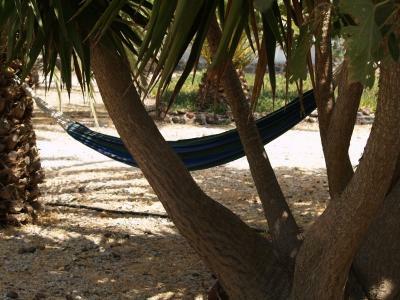 It is situated at Baxedes, 650 feet from the beach. 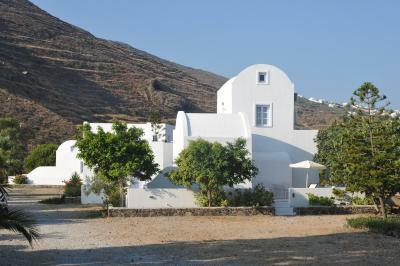 The complex consists of 3 detached traditional Cycladic-style buildings. 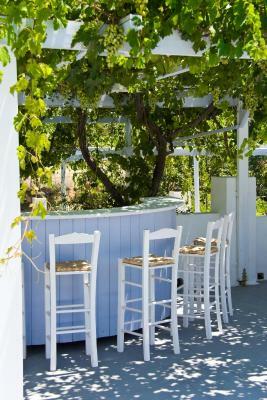 Each apartment at Pelagos is equipped with a fully equipped kitchenette with fridge and a terrace or patio. The bathroom includes a hairdryer. The Pelagos is conveniently only 2 miles from central Oia and 6 miles from Fira. The beaches of Columbo, Paradisos and Pori are close by. 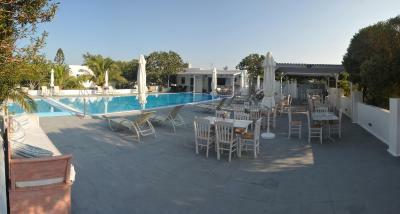 When would you like to stay at Pelagos Hotel - Oia? 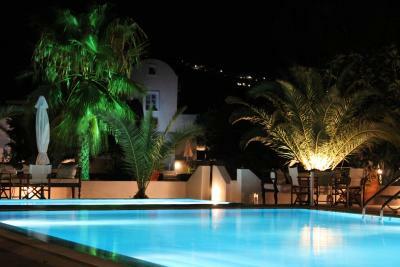 House Rules Pelagos Hotel - Oia takes special requests – add in the next step! Pelagos Hotel - Oia accepts these cards and reserves the right to temporarily hold an amount prior to arrival. The pool is excellent, a great place to stay. The hot water was off on the 2nd day, but finally they fix it. The mineral water provided only 1 time upon check in. Space at the loft, where the double bed was, was tight. Gets warm in the night, close to the ceiling. AC available though which we hardly used. Fresh water a bit salty. I was disappointed with how far it was from Oia. We had to get a taxi every time which was expensive for two people (I should have researched this more myself in advance) which overall ended up costing us a lot of money. We had a bad experience one night where there were six of us sharing a taxi and the driver tried to rip us off. The bathroom was a little bit small but I had no problems despite this. The food was amazing, the owners/staff were super friendly and welcoming, and the location outside the city was perfect for relaxing. At our stay the beach near by was way too windy. rent a car instead to drive around.